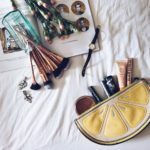 After my first instalment of this post back in April, I realised that I still needed to share so many more amazing bloggers. When I compiled my list, I didn’t realise how many insanely good blogs I read and I was left with so many who I didn’t manage to write about first time. So voila, here we have the take two version. I spend a lot of time on the internet reading blogs and these 8 ladies cover amazing variations of content: from lifestyle to books to travel to spirituality. If you think your “to read” list is lacking a little bit, I fully recommend giving these bloggers lot a whirl. I don’t read things that I can’t be bothered with but I find myself continuously checking these ladies blogs for new posts, I’m bordering on obsessive tbh. With so much hatred and negativity floating around the bloggersphere at the moment, it feels super important to share what you love. It honestly makes me feel so good and empowered when someone simply retweets one of my posts or leaves me a lovely comment and if I can do that feeling for other people, hell count me in. Some people are in blogging for the wrong reasons but most of us are in the blogging for the right ones: being able to do something we love. Be that to write, to take and edit beautiful photographs, to edit your own content, to share things you love with a readership online. All of these gals to amazing things so GO GO GO. I found Lynnsay’s blog through Instagram as firstly, let’s talk about her Instagram. 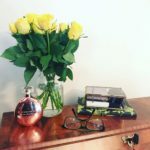 Lynnsay has written a couple of posts about Instagram (and I think she did her dissertation on it from what I’ve gathered off her blog) so you can be sure that her Instagram does not disappoint. It is the most beautifully curated feed and wow, I wish I could achieve that. Lynnsay’s photography on her blog is insane too, her travel posts are some of my favourites as it just makes you fall in love with the destination. Everything is so bright and beautiful and looks Pinterest worthy. Speaking of travel bloggers who have the best content, have you read Pack Your Passport? From stories of Australia to Amsterdam, advice for visas in New Zealand and living abroad on your own, tips on freelancing and living (and leaving) in London, Beverly has everything you could possibly want (and more) from a travel blog. I found her through Instagram (I think) and I’m so glad I did. If I’m thinking of travelling somewhere or just want to escape to wanderlust, Pack Your Passport is my first stop. I’m also a huge fan of The Letter B, Beverley’s newsletter, as it always features a beautiful and poignant essay at the beginning and a Link Love section which is always a treat for finding interesting articles. I have been reading Rosie’s blog for years, literal years. Just after discovering Hannah Gale’s blog and realising they were a thing, I did a google search for UK lifestyle bloggers and I came across A Rosie Outlook. Initially I concentrated on Rosie’s outfit posts as I love her laid-back and relaxed personal style. Recently Rosie’s content has moved onto personal essays which are always so poignant and journalling her interactions with spirituality and getting “woo woo” (as she termed it). I love the honesty behind Rosie’s writing and how raw her words feel as you read them. After reading Rosie’s post on tarot cards, it inspired me to go for a reading of my own and I’m so glad I took the push. Katy has liked a couple of my Instagram pictures and I fan-girled, I fan-girled hard. I think I even ran into the living room of the flat to inform my flatmate of this momentous occasion. Katy is amazing on Instagram – the most beautiful set of squares that all work so close together, showcasing the best of London and so many amazing foodie snaps, don’t look at Katy’s feed if you are hungry. If I head to London any time soon, Katy’s blog will be my first stop for finding amazing places to eat. I lap all of her reviews despite the fact I’ll probably never visit – her pictures alone are stunning. Katy’s travel posts are amazing, they always inspire me to look for adventures anywhere and everywhere. Sherri is one of my favourites on Instagram as you just can’t look at her feed and not feel warm and sunny. Orange is a major theme and the happy upbeat attitude is no different on her blog. I wish wish wish I could dress like Sherri, she looks amazing in everything she puts on and her style is so unique and daring. Whilst I am not a freelancer and doubt I ever will be, I find it really interesting to read about how people freelance and what their tips are. Sherri is also Glasgow-based which I loooove as it means I can relate to things when she talks about our oh-so-fabulous-city-in-common. If I am in need of a book to read and can’t decide on my own, Hayley’s blog is my first (and often last) stop. Based in Edinburgh, Hayley is my “it” girl for book blogging but she also covers a whole host of lifestyle stuff across her blog. She is embarking on adventure in the USA and I am so excited to see what content she cooks up whilst out there! I love how Hayley shares her blogging stats on occasion as someone who is a total ninny on the “business side” of blogging, I found it really interesting to learn what I can from other people. If you are looking to learn about Edinburgh and get your dose of books for your reading list we all have, Honestly Russell is your stop, I promise. 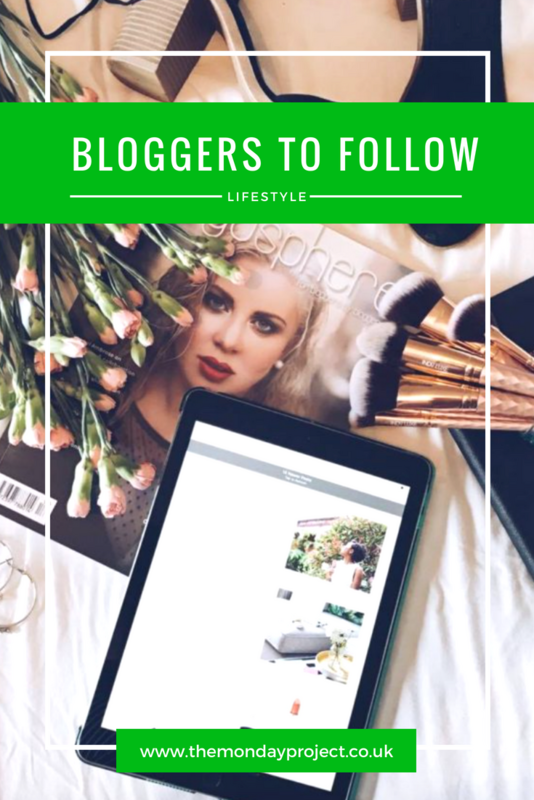 I came across Corinne & Kirsty through blogger Twitter chats which are the best by the way for finding new blogs and bloggers, especially if you are a newbie blogger. Corinne & Kirsty also host their own post sharing night on Twitter, known as Bloggers Night In on a Tuesday, just use the #bloggersnightin to find it! Recipes are one of my favourite parts of this blog, so many delicious treats you can cook up at home with easy to read instructions accompanied by gorgeous Pinterest worthy pictures. Another favourite aspect of this blog which you need to check out is their blogging tips section. I found it so so so helpful when I decided to get my act together and be a bit more “business like” with blogging instead of just wittering online for the my audience of 3 or whatever. Mostly I keep up with Soph on her Instagram as I almost feel as if I’ve been to Liverpool due to vicariously living in it through Soph’s eyes. So many beautiful buildings and her Stories are also like an art form. Definitely give her a follow if you want some UK based wanderlust. Sophie’s blog is a treasure trove of inspiration, advice, happiness and well-being. Every time I come off it I feel inspired and excited about the future, you know the feeling where you think you can just about do anything? That feeling. All of her photography is brilliant and mesmerising and I really can’t stress how many helpful posts there are. Just whilst writing this post I’ve spotted a few I haven’t read and I’m adding them to my bookmarked list to save forever more.